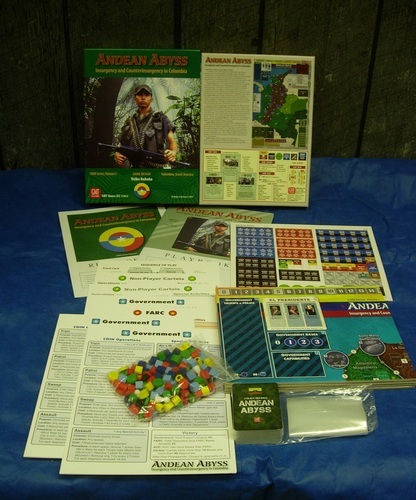 Andean Abyss presents a game system on modern insurgency readily adaptable to other conflicts, particularly those featuring the interaction of many sides (thus our new COunterINsurgency series). 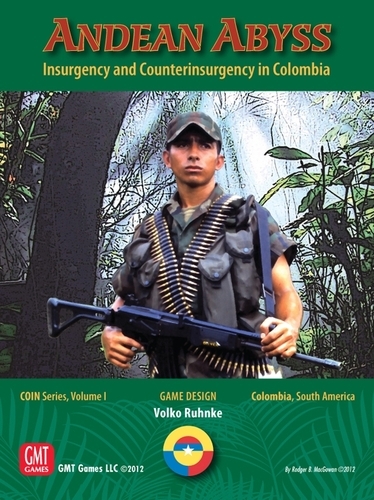 A rich and under-represented history of 20th-Century guerrilla warfare beckons. 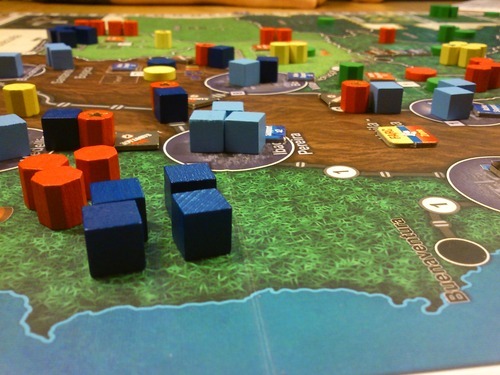 Next up for the COIN series is Volume II: Cuba Libre: The Cuban Revolution (now on the P500 list), and Volume III: Bush War—The Fall of Portuguese Angola. 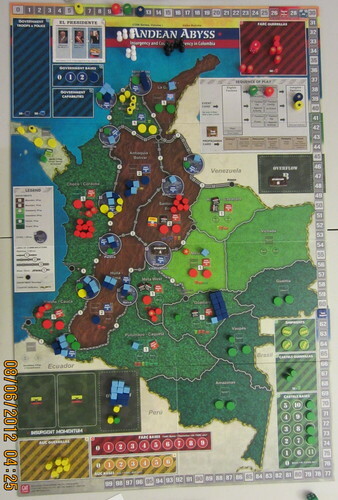 A 22'' x 34'' mounted game board.